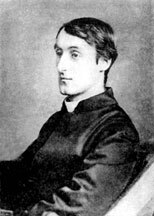 Gerard Manley Hopkins, SJ, was a 19th-century poet. Hopkins’s poetry exists today only because his friends published it after his death. Hopkins, who was only 5’2” tall, suffered his entire life from both physical problems and severe depression. As a student at Oxford, he converted from the Church of England and was received into the Catholic Church at the age of 22. His patron, Cardinal John Henry Newman, offered him a job, but instead Hopkins joined the Jesuits. Worried that poetry would be a distraction from leading a religious life well, he essentially stopped writing from about the time of his conversion until 1875. In that year Hopkins wrote “The Wreck of the Deutschland,” about the heroic sacrifice of a group of German nuns who were crossing the North Sea to England when their boat sank in a storm. This was a challenging poem, and even Hopkins’s friends didn’t like it. 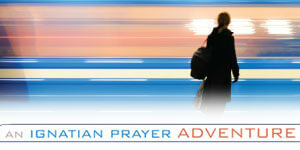 “I wish those nuns had stayed at home,” wrote one friend. When Hopkins submitted the poem to a Jesuit magazine, it was rejected. But it got him writing again. Hopkins died in Dublin in 1889, at the age of 44. His first poetry collection was published in 1918. Blog posts about Gerard Manley Hopkins, SJ. The Victorian Web provides selected poems by Gerard Manley Hopkins, including “God’s Grandeur,” Hopkins’ most famous work. First installment of a documentary about Hopkins. As a young man Hopkins was enamored with the experience of beauty in the Victorian age. Under the influence of John Henry Newman, Hopkins was received into the Catholic Church. Before he entered the Society of Jesus, Hopkins burned all the poetry he had written to that time. This installment of the documentary ends by noting Hopkins’s poetic vision matured as he studied the philosophy of Duns Scotus. Hopkins continued to develop his unique vision and language of poetry. In Liverpool and Glasgow he ministered to the needs of the struggling workers in the industrial age. Hopkins was sent to teach in Dublin. In his last years, Hopkins felt as if God had abandoned him. His poetry was published by a friend after his death.